Here, we break down this international M&A deal and explain what it means for the industry. This move follows Canopy’s acquisition of Acreage Holdings—contingent on U.S. federal legalization. Sens. Jeff Merkley and Cory Gardner have reintroduced the SAFE Banking Act, while the House companion bill gains momentum. Canopy, the world’s largest cannabis company, will initially pay $300 million in cash to shareholders of New York-based Acreage. The collaborative approach to rulemaking is a signal of broader changes at the state’s regulatory board. Proceeds from the debt placement will enable CCU to expand its production capabilities with the development of a new 8,500-square-foot processing facility at its Eaton farm location. The Canadian medical cannabis service provider has become an internationally-operating medicinal clinic, and it is expanding its service offerings. The new additions to Florida’s rapidly growing medical-marijuana industry come from a pool of applicants that lost out in the first round of licensing in 2015. Besides reducing the penalties, the legislation would allow offenders to have marijuana convictions expunged after five years if they steer clear of another arrest. Georgia has allowed patients to possess cannabis oil since 2015, but, until now, state law prohibited buying or selling the oil. Deep Roots marks Acreage’s entry into Nevada, increasing the company’s total state footprint to 20. The multi-state operator can now manufacture and distribute consistent and scalable products. 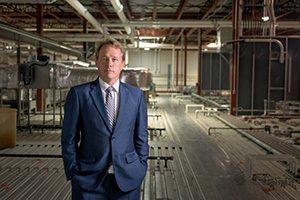 The developer of waste treatment systems for food and cannabis waste opened its waste treatment innovation center in Metro-Vancouver April 15. Larry Holifield is the former U.S. DEA regional director of Mexico and Central America. People with previous misdemeanor marijuana possession convictions in Washington state are a step closer to more easily having those convictions vacated. Under Montana law, laboratories that test marijuana products for levels of THC, CBD and contaminants must be inspected annually. Cafina is one of three companies in Spain authorized to cultivate and distribute cannabis containing more than 0.2-percent THC. The hemp and cannabis corporation has acquired a 20-percent ownership interest in Natural Plant Extract of California. The cannabis intelligence platform for the identification and location of optimally therapeutic cannabis products has appointed Justin Tran as the head of clinical research. DNA's certified library of proprietary genetics, flower and concentrates are available in Colorado for the first time.